Available in 6 decadent flavors, this dairy-free and vegan chocolate beverage is a must have for all fitness lovers. In our increasingly health conscious world, today’s consumers are seeking nutritious choices for optimal energy while living their adventure. 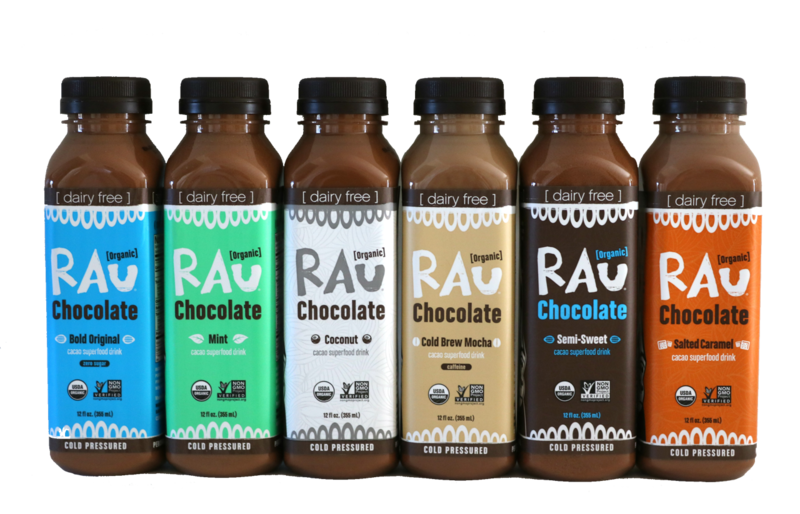 With quality at the forefront, Rau Chocolate is blazing the way of healthy beverages, and is excited to announce Salted Caramel, the newest addition to their popular line of organic superfood drinking chocolates loaded with antioxidants, healthy fats and simple nature-inspired ingredients. Semi-Sweet with unrefined organic/fair trade coconut palm sugar. WF Tip: Shake vigorously and indulge in a healthy pleasure like no other.